Ford’s last Ranger update brought along some performance improvements. A low inertia turbo and a new fuel system kick it off the line well. The Ford Ranger comes into the contest from its 2015 mid-generation refresh that saw several significant mechanical changes, all of which made it a better vehicle. What hasn’t changed is that, along with the Mazda, it has the biggest engine, the most number of cylinders, the longest wheelbase and the highest GVM and GCM. 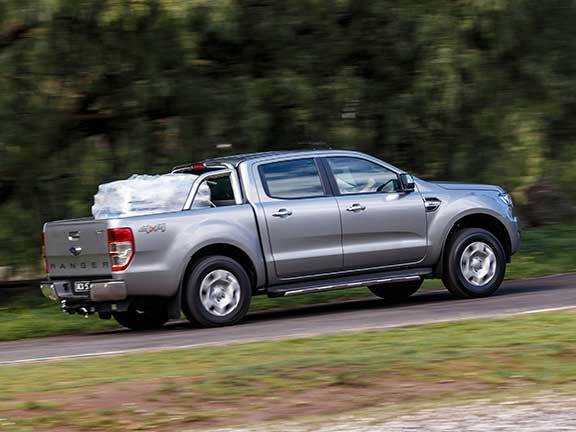 The Ford Ranger has six decent-sized tie-down hooks in the tub, which made it easy to secure our 800kg pallet. All the others bar the Mazda have four tie-down eyes, and some aren’t as accommodating as others for larger strap hooks. 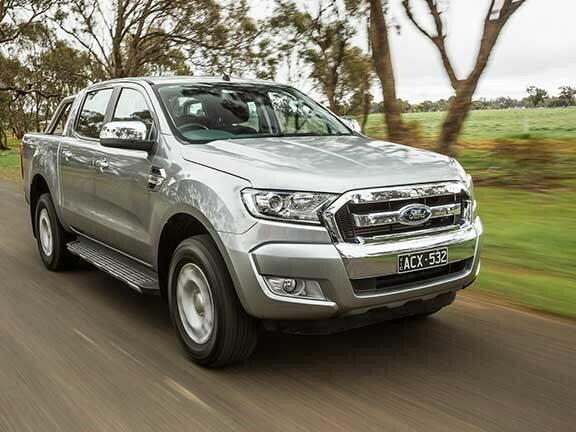 With that load on, the Ranger’s rear ride height dropped 60mm, which is an equal ‘best’ result of the seven utes. 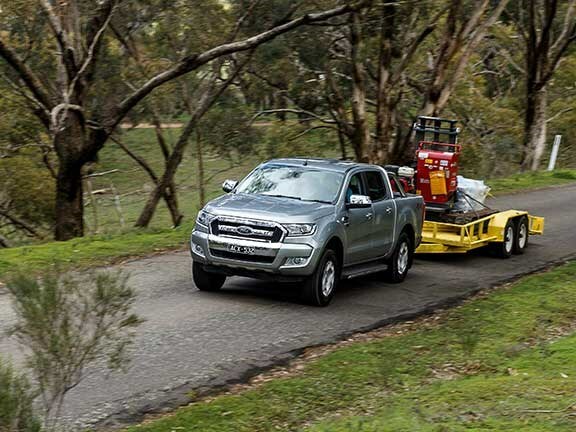 Taking into account the weight of driver, observer and towbar (170kg in total), the 970kg payload is just 30kg shy of the top-spec Wildtrak’s max and around 160kg short of the XL, the lightest of the Ranger 4x4 dual-cab pick-ups. The Ranger’s engine dealt with the 800kg in the tub as good, if not better, than anything else. In fact, it was hardly troubled up the hill and didn’t need to hold on to the lower gears excessively, nor rev too high, to get the job done. The fact that, along with the Mazda, it has the largest capacity engine here and the most number of cylinders gives it a head start. It also feels stronger than the Mazda thanks to the 2015 update that included a new low-inertia turbo and changes to the fuel injection system, both aimed at improving the engine’s low rpm response. Unfortunately, Mazda didn’t instigate these changes to its otherwise mechanically similar BT-50. Those same changes also bought a quieter engine, another area where the Ranger generally stands out in this company. The fact that the Ranger doesn’t need to rev as hard as some of the others when carrying a load also helps in making it quieter and more relaxed. For its part, the six-speed automatic is also unfussed by the extra weight – although, on the hill, descent was reluctant to automatically downshift even with brake prompting, and needed intervention via the ‘manual’ tip-shift. The Ranger’s chassis also coped as well, if not better than, any here. As mentioned, there was minimum droop at the rear, so the ride attitude wasn’t noticeably ‘nose-up’, and at no stage over the bumps did the rear suspension feel to bottom out. Notable here is the Ranger’s electric power steering which was part of the 2015 update and, again, something not adopted by Mazda for the BT-50. With the extra weight on board, the next-to-no steering effort at parking speeds is a definite bonus. The Ranger is almost single-handedly responsible for the tow capacity arms race. The current platform lobbed with big power, big torque and good looks. It took the segment by storm and sent some of the competition scurrying back to the drawing board. The Ranger feels like a big truck even when empty. 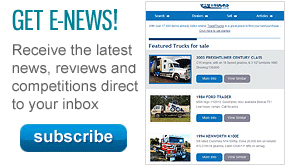 This inspires some confidence when it comes to putting a big load on its hitch. Our test trailer dragged the bum of the XLT earthwards slightly, but nothing startling. The 3.2-litre five-pot surprised with a burly note as we idled onto our hill climb circuit. It’s the first time I’d really heard a hairy chested burble from the diesel donk. Planting the foot really saw the Ranger hunker down and haul. The last update for the Ranger saw a new turbo and injection system plumbed into the engine bay. That 470Nm is on tap earlier, and the Ford does an excellent job of getting power to the ground in good time. The leaf spring rear end of the Ranger holds up well without too much shimmy and shake. It feels planted and stable on the road. 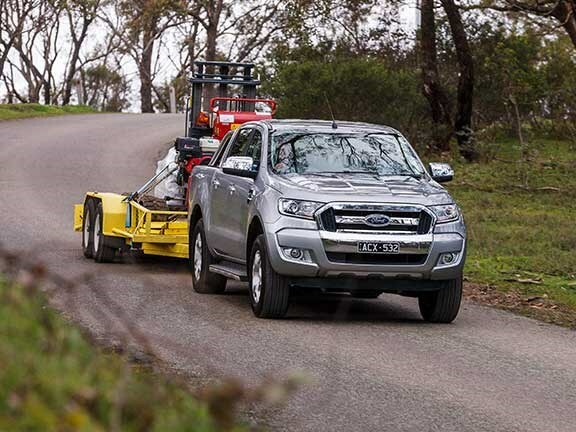 While I’m guilty of not being a huge fan of the Ford’s electric power steering in the bush, it certainly makes the business of holding a heavy trailer steady a hell of a lot easier. The six-speed auto needs to be prompted to downshift on loaded descents, but the extra cubes of the big oiler come in handy for extra engine braking effect. 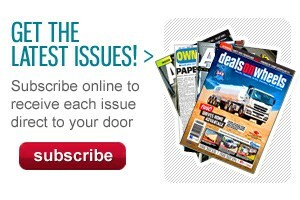 3.2-litre 4x4 dual-cab pick-up manuals only, unless noted. *4x4 dual-cab pick-up automatics only.